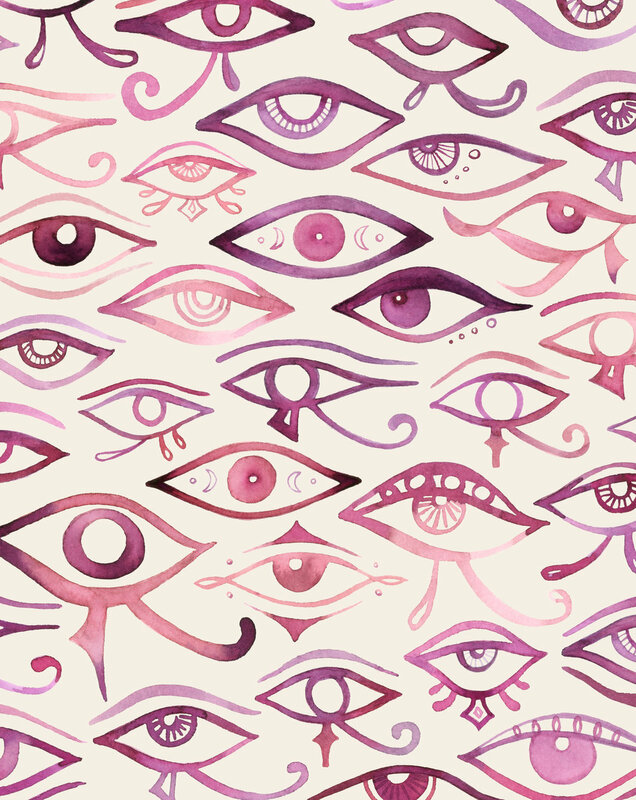 hand painted patterns incorporating two of my favorite things to draw - hands and eyes. Surreal hand and eye pattern commissioned by Fashion Snoops for their S/S 2018 Museum of Me trend story. Want watercolor eyes watching your every move? This illustration is available as an art print here.